M&F Stringing: Hang Tag Design Experts - Leaders in Print Finishing. No one has closer ties to their clients. We work with the most complex hang tag designs. A reputation for excellent work delivered on time. Helping generate concepts and develop prototypes to launch new products. M&F Stringing can parallel-fold your trimmed, scored tags to their finished size. M&F’s expert staff can fold all sorts of tags, like circles and die-cut shapes. We can also double parallel-fold in order to create accordion-fold booklets, or inward-folding multiple-panel tags. Odd and difficult shapes and sizes are our specialty. 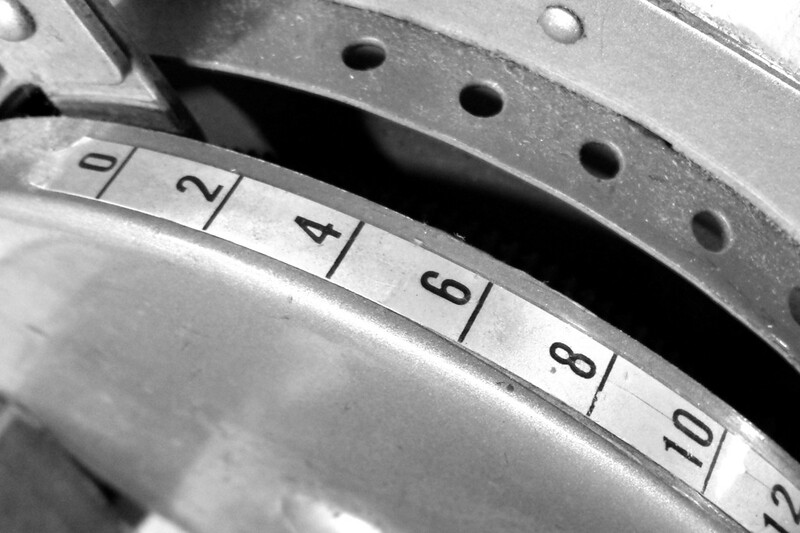 The selection of materials is crucial for any tag project, but the most defining attribute is typically the string. The various options that we offer represent opportunities to make a tactile connection to the consumer in a retail environment. This can be achieved by selection of color, finish, and texture. A robust tag incorporates metal eyelets, which not only enhances the appearance of the tag, but also reinforces the hole. 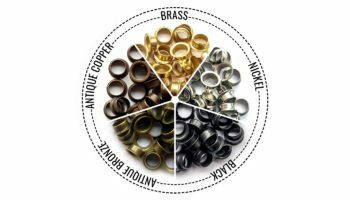 We stock the standard brass and nickel options, for either a gold or a silver finish. In addition to these, matte black, antique bronze, and antique copper are newly available. Most of our work involves mechanical stringing, but we also perform hand-assembly work for projects outside the parameters of our stringing machines. We specialize in multiple-tag assemblies on one string, as well as tags with very long or very short loops that exceed the typical parameters of mechanical stringing. We understand how packing and shipping activities are essential to the smooth functioning of any finishing operation. We offer a variety of different options for organizing, packing, and shipping your finished hang tags back to you, a fulfillment center or other facility, or even to multiple destinations, if needed. What separates us from the competition is that we specialize in what is possible with hang tag design and we offer custom string options tailored to fit your unique project. Our goal is to help our clients achieve their marketing goals in the most efficient and effective ways possible. 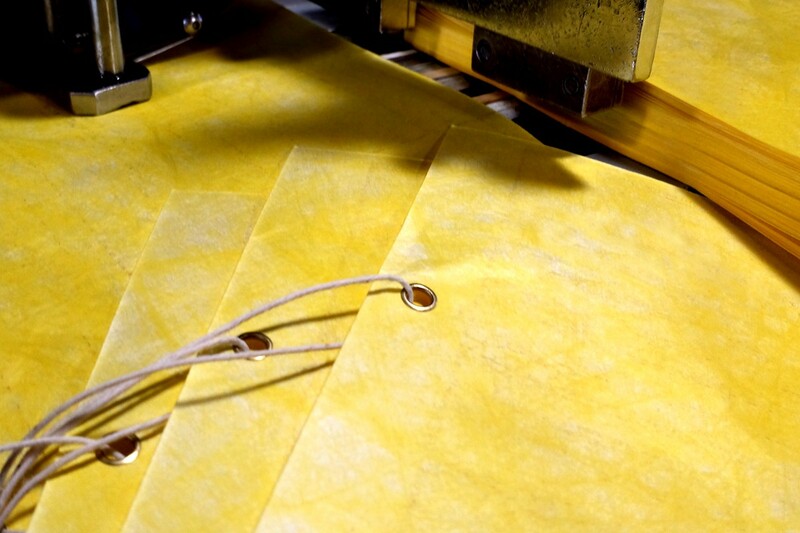 M&F Stringing offers complete hang tag, envelope, and booklet stringing services. 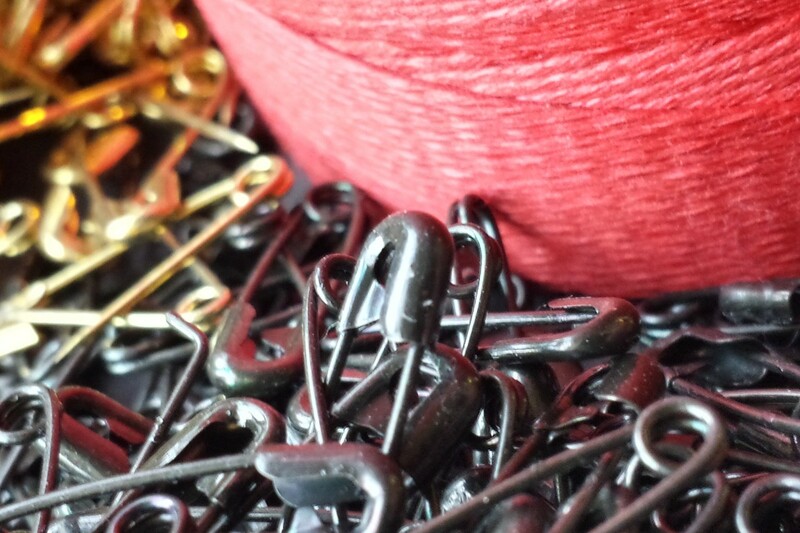 We offer mechanical stringing, punching, eyelet application, and folding. M&F also offers a range of hand assembly services for projects outside the parameters of stringing machines. Specifically, we offer hand looping and hand stringing for unique projects and multi-tag assemblies. Our reputation for offering a wealth of string options is rock-solid. 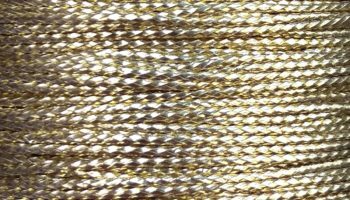 We have a large inventory of different types of strings, in a wide variety of colors and finishes. Among these, we offer multiple weights of mercerized cotton, metallic lamé, solid color Pearlray and bi-color variegated Pearlray. 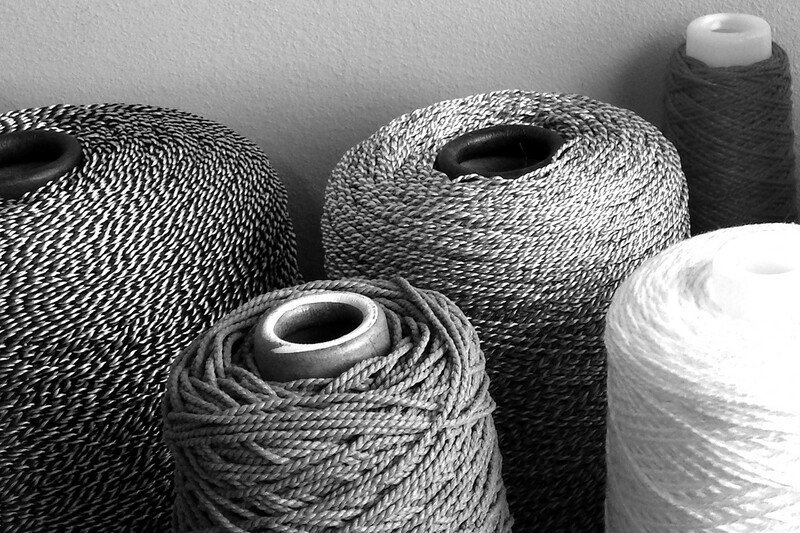 M&F Stringing also offers a large selection of heavy cords, twines, and natural fibers such as jute and hemp. 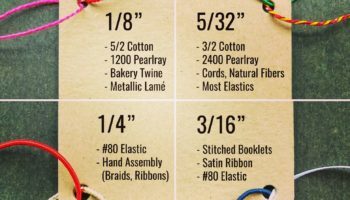 We also have a range of elastics, including specialized non-fray and metallic elastics. Lastly, we offer a range of specialized strings with customization options as part of our Signature Collection. We are a domestic manufacturer consistently committed to quality, with a team of experts standing by and ready to help. Our staff has years of experience to help bring your ideas and design concepts from prototype to production. M&F Stringing has a longstanding reputation as a premier hang tag stringing operation due to the consistency and quality of our work. 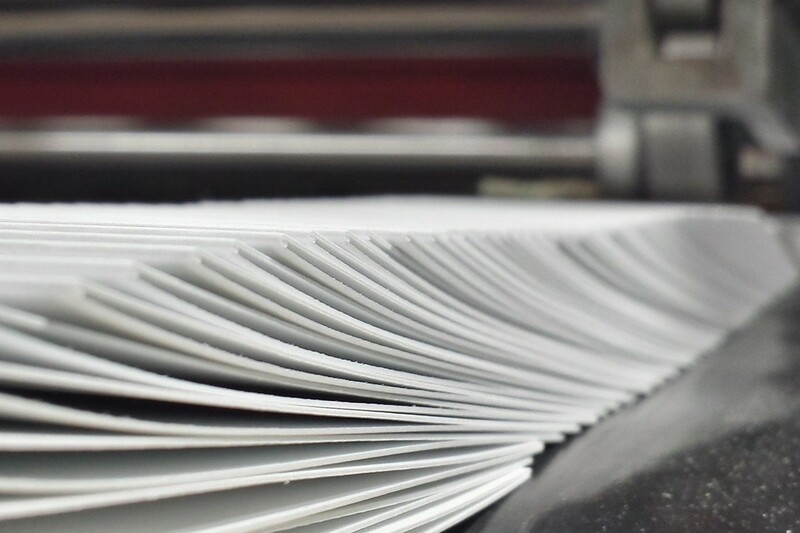 In particular, we always aim to educate new customers about how our niche of the print industry can assist them. Consequently, we invite you to discover everything that M&F Stringing can do for you. Let us be a part of your next hang tag design and help your project shine! 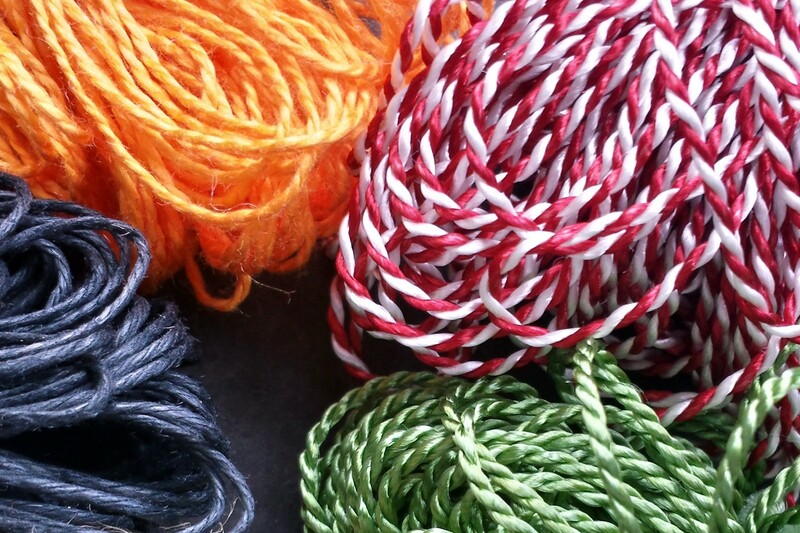 M&F Stringing offers a wide variety of strings of varying thicknesses and qualities…. We will occasionally send you email about things we think you might find interesting and useful, such as exclusive discounts, capability updates, and innovative concepts in printing and packaging design.